In 2018 Lacawac Sanctuary purchased the former home of its founder Arthur Watres and the 0.8 acres it sits on. 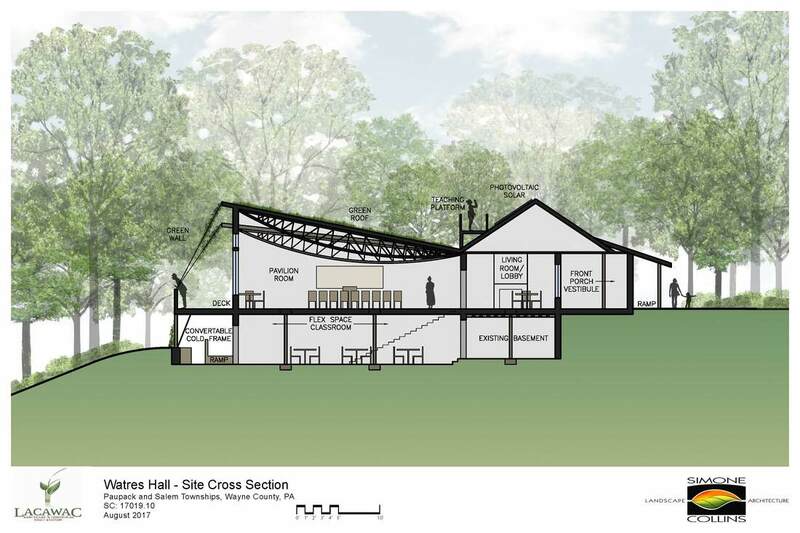 The purchase was the first step in developing a new environmental education center. 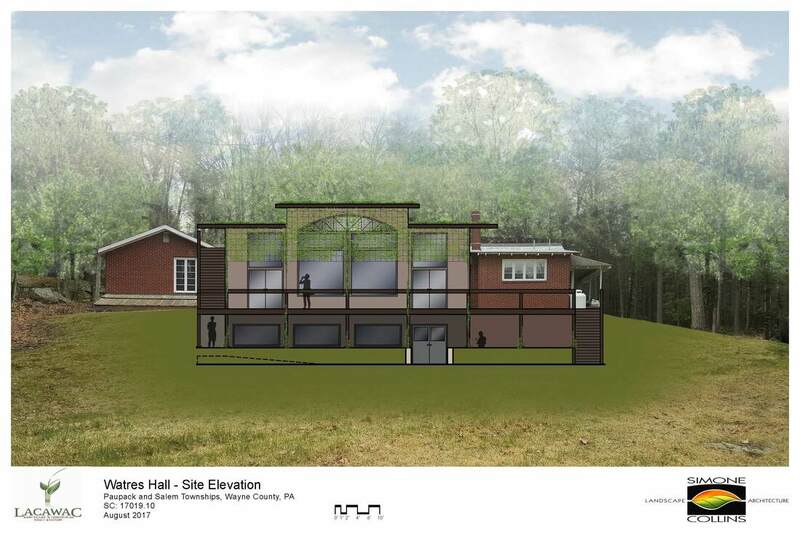 Recently Lacawac contracted with Simone Collins, Landscape Architecture of Norristown Pennsylvania to complete a Master Site Plan Appendix entitled Watres Hall Architectural Study and Site Master Plan. 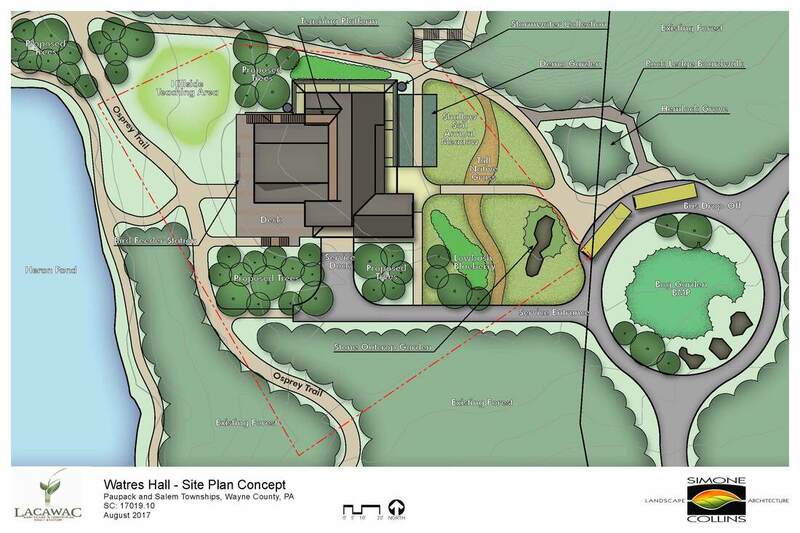 This plan is an update to the original master site plan completed in 2009. 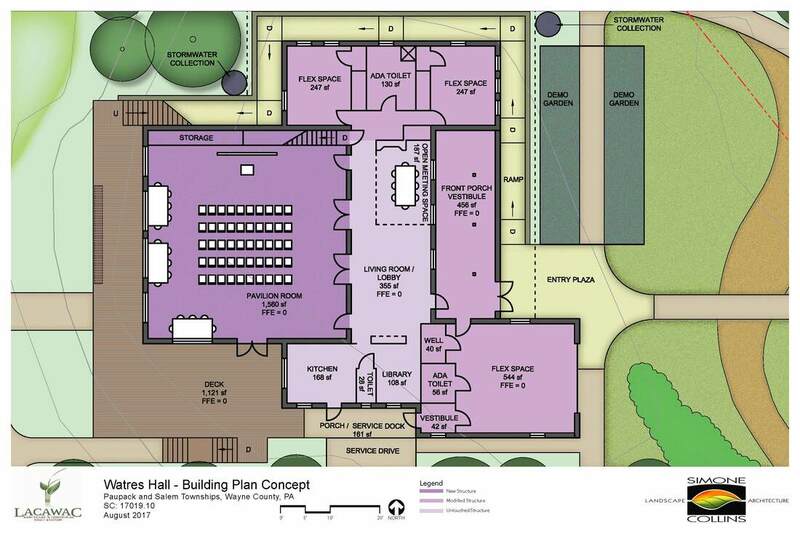 We have provided the Watres Hall Architectural Study plan below. We are asking the general public to review the study and offer feedback about our plans to develop an environmental education center for the region. A comment box is provided for your feedback regarding this project at the bottom of the page.